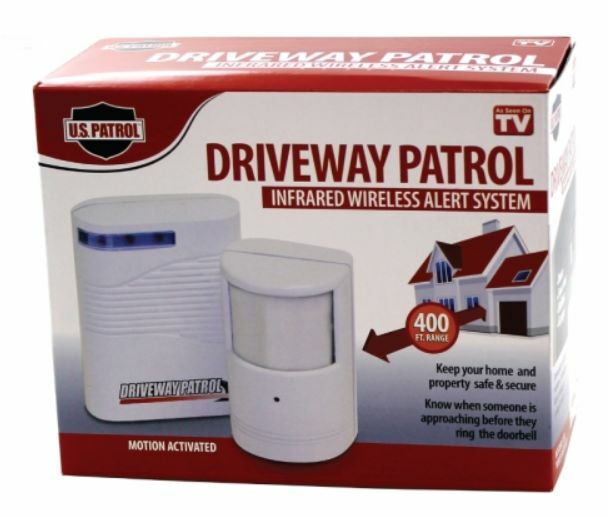 Know when someone enters your driveway or any entry point to your property. 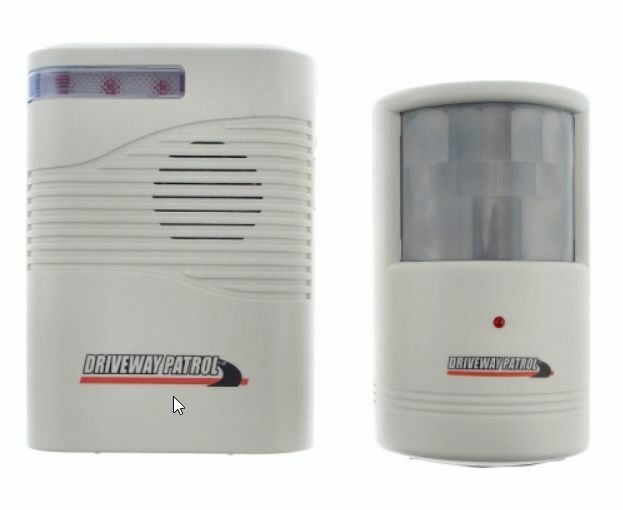 Simply place or mount the motion sensitive transmitter near your driveway or other entry point, when a car or person passes by the transmitter it sounds a chime. The chime can be set to high or low volume and could also be used to alert you if a child leaves an area or a customer enters a store. Installs in Seconds: Just place the transmitter outside and the receiver inside. Uses Wireless Technology: so the transmitter can be placed up to 400 feet away from the receiver. The transmitter uses Passive Infra-Red (PIR) to detect motion. Measurements: The transmitter measures in at 4 1/2 inches x 2 1/2 inches x 2 1/2 inches. The receiver measures in at 4 11/16 inches x 3 1/2 inches x 1 1/2 inches.